You can now join the George MacDonald Society online (irrespective of your geographical location) and your subscription will include a paper copy of North Wind, our respected annual academic journal when it is next published. £15.00 Sterling (equivalent to approx $20 USD). This will be processed as a separate PayPal transaction to any other items on this page. Important: The following items are only available in the USA (Excluding Hawaii). We regret that due to frequently changing postage costs the following items on this page are only available to USA (exc. Hawaii) residents. Please do not purchase using the remaining links on this page if you live anywhere else in the world (for example Canada or the United Kingdom). See the sidebar for more information. Magdalen College, where C.S. Lewis taught in Oxford, was an appropriate site for the “Informing the Inklings” conference hosted by the George MacDonald Society. Participants explored how MacDonald and fellow literary figures such as S.T. Coleridge, Lewis Carroll, Charles Kingsley, and Andrew Lang paved the way for 20th century fantasists such as C.S. Lewis and J.R.R. Tolkien. The twelve essays collected in this book examine this rich lineage of mythmakers. Contributors include Stephen Prickett, Malcolm Guite, Trevor Hart, and Jean Webb as well as other Inklings experts. Like the authors they write about, these scholars believe imaginative fiction has the power to enrich and even change our lives. This marvelous collection of essays appeals to both the intellect and the imagination, drawing us to consider stories from a past generation as doorways for meaning and transformation today. The connection between George MacDonald and his circle to C. S. Lewis and his circle has never been made so clear. Unlike many books about the Inklings, which primarily just rehash what has already been published before, Informing the Inklings offers original and important insights over and over again. I was once told that â€œIf you donâ€™t know George, you donâ€™t know Jackâ€�. Having read this fine collection, I know more about both Jack and George (and a good many other writers besides), and Iâ€™m grateful. The scope of these well-arranged and very accessible pieces is extraordinary, bringing out a central purpose in the Inklings â€“ the making of myth â€“ with its debt to nineteenth-century fantasy. Each of the sermons from ten MacDonald novels has an introduction giving some explanation of the setting of the sermon or of the plot, if that is necessary for understanding the sermon. A Novel Pulpit is the first in what is planned as a bi-annual book series by The Center for the Study of C.S. Lewis and Friends at Taylor University. In 1880, George MacDonald, the Scottish poet, novelist and preacher, in the wake of the deaths of two of his children, published A Book of Strife in the Form of the Diary of an Old Soul. This book, which unites grief and hope in hard-won faith, contains a poem for every day of the year. In the first edition of this classic collection there was a blank page opposite each page of poems. Readers were invited to write their own reflections on the "white page." MacDonald wrote: "Let your white page be ground, my print be seed, growing to golden ears, that faith and hope may feed." Betty Aberlin, a native New Yorker of Russian-Jewish ancestry, raised in post-Holocaust orthodox atheism and nurtured in the arts, responded to MacDonald's invitation with daily poems of her own. Following the strict poetic form of The Diary of an Old Soul was an illuminating experience. In her own 7-line, 3-rhyme, 10-syllable pattern, Aberlin created a unique mixture of recurring themes and images drawing from Judaism, Christianity and her experiences as an actress and artist. Her vision is fresh and honest, revealing a keen observation of nature and human nature, from the exhilarations of faith, hope and love to the despairs of war, rejection and failure. Aberlin opens a path into spiritual reflection for the thoughtful reader to follow. It has been many years since Roderick McGillis edited For the Childlike, a landmark collection of essays about George MacDonald's writings. This latest collection of 14 essays sets a new standard that will influence MacDonald studies for many more years. 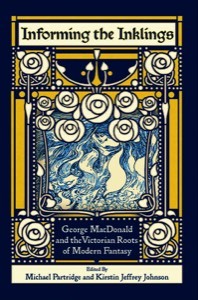 George MacDonald experts are increasingly evaluating his entire corpus within the nineteenth century context. This volume provides further evidence that MacDonald will eventually emerge from the restrictive and somewhat misleading reputation of being C.S. Lewis' spiritual "master." BEHIND THE BACK OF THE NORTH WIND includes 16 essays on this enigmatic and richly layered fantasy novel - with perspectives ranging from the influence of MacDonald's Christian worldview or the relation between fantasy and reality, to grappling with AT THE BACK OF THE NORTH WIND as children's literature. A variety of artist's illustrations are included, from editions published between 1871 to 1988, visually reinforcing the imaginative impact MacDonald's classic story continues to have on readers. This collection of essays is designed as a companion volume to Broadview Press's critical edition of AT THE BACK OF THE NORTH WIND, also edited by Pennington and McGillis. SHADOWS AND CHIVALRY studies the influence of George MacDonald, a nineteenth-century Scottish novelist and fantasy writer, upon one of the most influential writers of modern times, C. S. Lewis - the creator of Narnia, literary critic, and best-selling apologist. While other books, quoting Lewis himself, have only mentioned the fact that Lewis called MacDonald his "master," and that MacDonald's Phantastes helped "baptize" Lewis's imagination, this study attempts to trace the overall effect of MacDonald's work on Lewis's thought and imagination. Without ever ceasing to be a story of one man's influence upon another, the study also serves as an exploration of each writer's thought on, and literary visions of, good and evil. Lastly, using the metaphor of chivalry, McInnis looks at what Lewis and MacDonald believed to be greater than either suffering or hell: the severe and tender Love who longs to save. 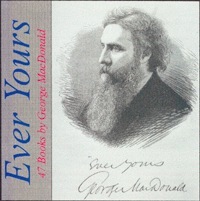 George MacDonald was a many-faceted nineteenth-century writer-an ordained minister without a church, a popular lecturer, college professor, and most famously, the author nearly 50 books. From sermons to poetry, scholarly essays to novels, and fantasy romances to fairy stories, his writing often combines the flavor of the fantastic with a scent of the spiritual-all the while evincing wisdom based in reality. 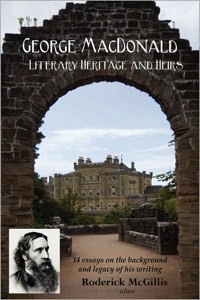 Rolland Hein, eminent MacDonald scholar, biographer, and editor of this anthology, aptly quotes from MacDonald's novel The Marquis of Lossie, "Life and religion are one, or neither is anything...." The selections from Through the Year with George MacDonald are proof of the unity of MacDonald's vision. They are also proof of the decades Dr. Hein has spent immersed in the writings of this remarkable author, compiling a devotional book that readers will return to many times over for inspiration. Dale Wayne Slusser's book, The Near Loss of Everything, tells the late nineteenth-century story of Ravenscroft High School's most famous headmaster, Ronald MacDonald. Ronald was the son of the famous British writer, George MacDonald, author of such books as The Princess and the Goblin and At the Back of the North Wind. Ravenscroft High School was an Episcopalian boarding school for boys located in Asheville, NC. Slusser combines the biographer's skill in detailing the joys and trials of his main subject, with the historian's skill of bringing an aspect of Asheville's past to life.